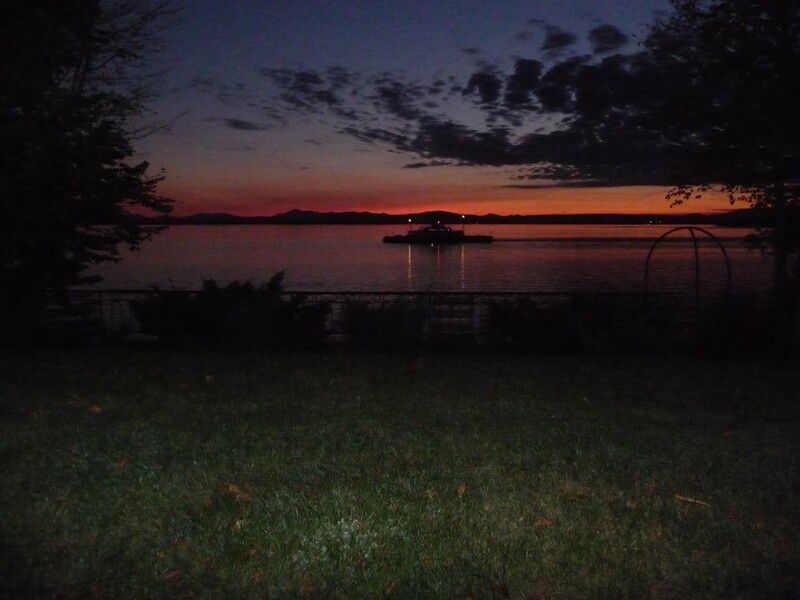 You have discovered one of the most cherished sites along the shores of Lake Champlain! Our 1600 feet of lakeshore ensures outstanding sunset views, as well as access for swimming, fishing, kayaking and scuba diving. 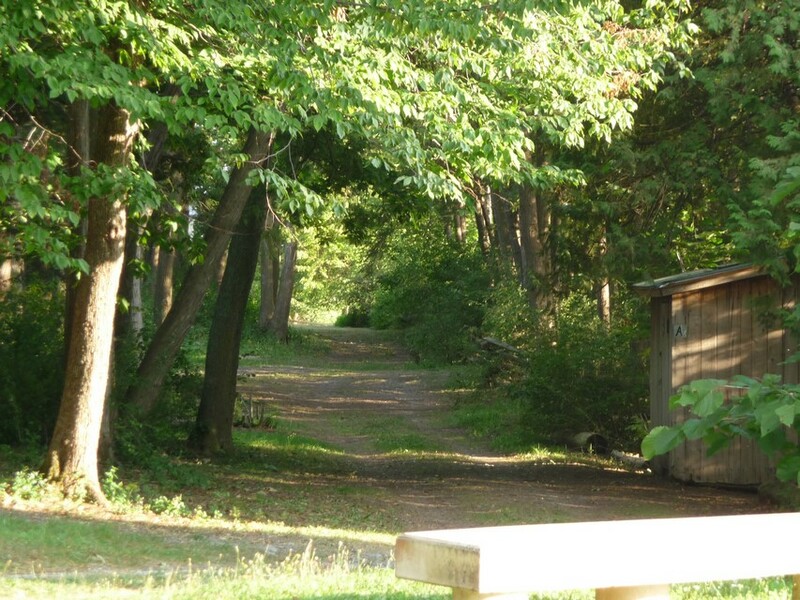 Our twenty-six acres of cedars, and orchards provide spacious campsites with ample shade and privacy, for those who enjoy peace, quiet, and natural beauty. 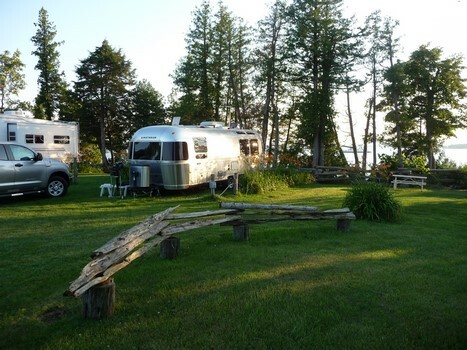 Our spacious private sites can accommodate trailers up to 34 feet in length. Full hook-up RV Sites (water, elec, sewer)Our twenty-six acres of cedars, and orchards provide spacious campsites with ample shade and privacy. 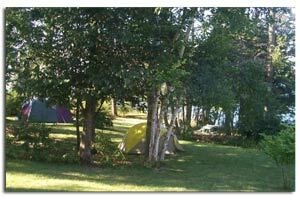 Shaded, open, and waterfront tent sites are available, along with one lakefront site featuring a lean-to with a small deck. 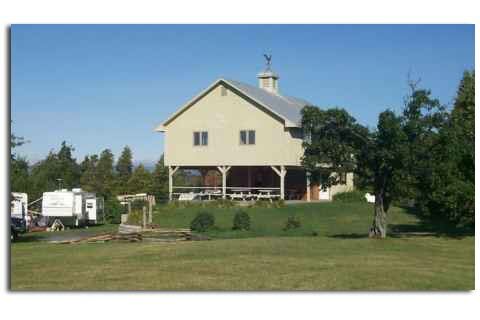 Each site comes with a fireplace and picnic table. The pavilion is centrally located with covered area & picnic tables. Modern bathrooms, with flush toilets and showers, as well as a laundry room, are centrally located, and easily accessible from all sites. We cater to retired people, couples without children, and all who care about and respect the environment. ” It is our honor and pleasure since June 6 1984 to welcome , free of charge, World War II Veterans”. 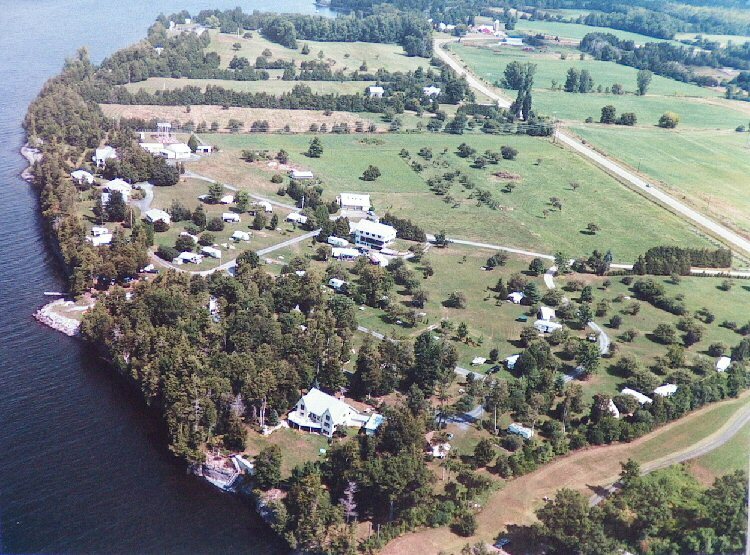 Our land here in the Champlain Islands is a gift of nature, as essential as clean water and fresh air. We cherish and protect it. 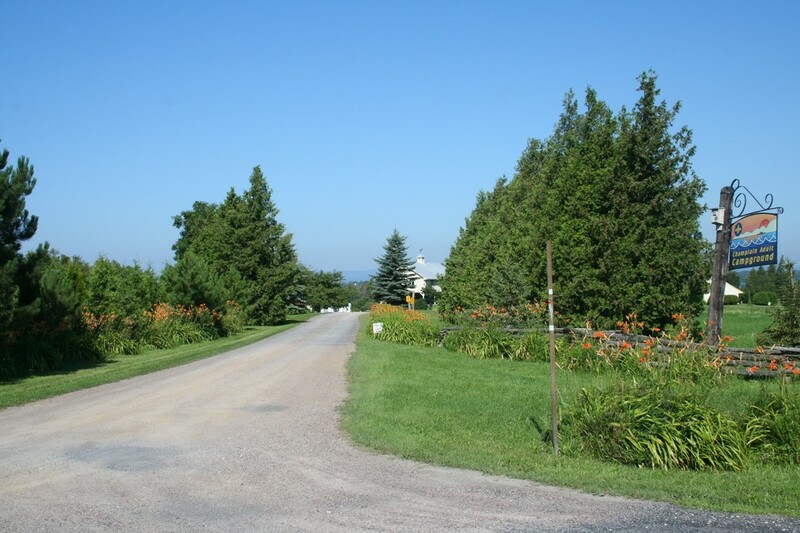 All sites sport fresh grass, and the roads winding through the campground are gravel. Here, the environment passes before profit – if the grass at a site needs tending and open sunshine, we will not rent it. For the past two years, a prime lakefront site has been occupied by a pileated woodpecker. We request that all campers put their household trash in the dumpster and their recyclables in the appropriate containers. We also compost. 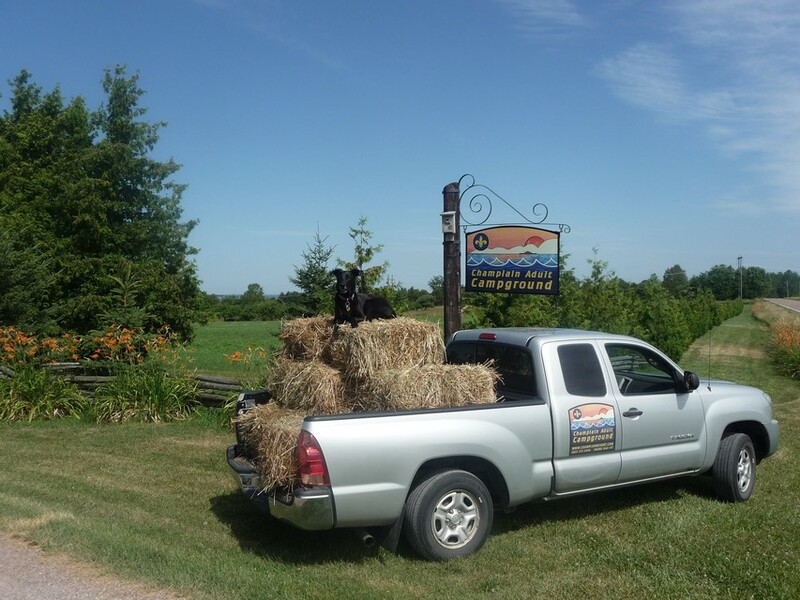 We handle household trash and recyclables free of charge.